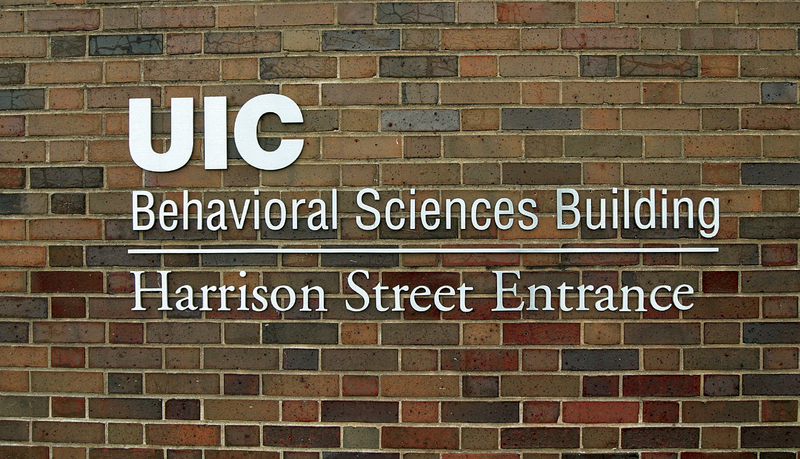 The Behavioral Science Building accommodates the faculty, students and staff of seven psychology departments for the University of Illinois at Chicago (UIC). 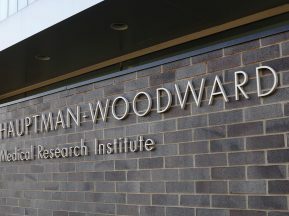 The four-story building includes seminar rooms, animal and human research laboratories, clinical observation rooms with one-way observational windows, a computerized classroom, and a graduate student computer lab. 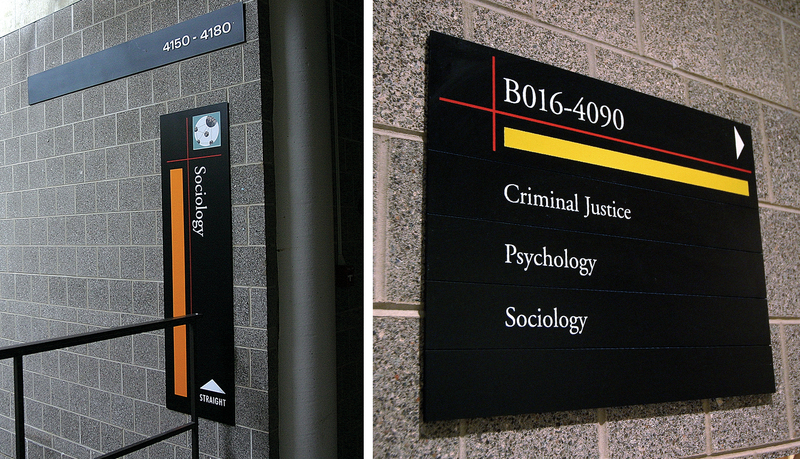 UIC’s Behavioral Science Building needed an effective wayfinding and signage solution to guide visitors and staff comfortably throughout the windowless, hexagonal-shaped facility. The lack of windows caused visitors to lose their orientation once inside the building. 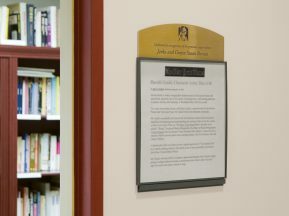 An effective wayfinding solution would have to guide visitors from the two main entrances — located on the north and south sides of the building — toward the central staircase and throughout the four-story facility. 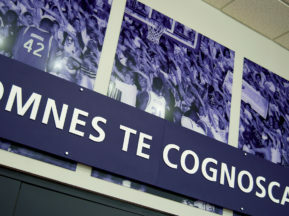 housed in the facility. 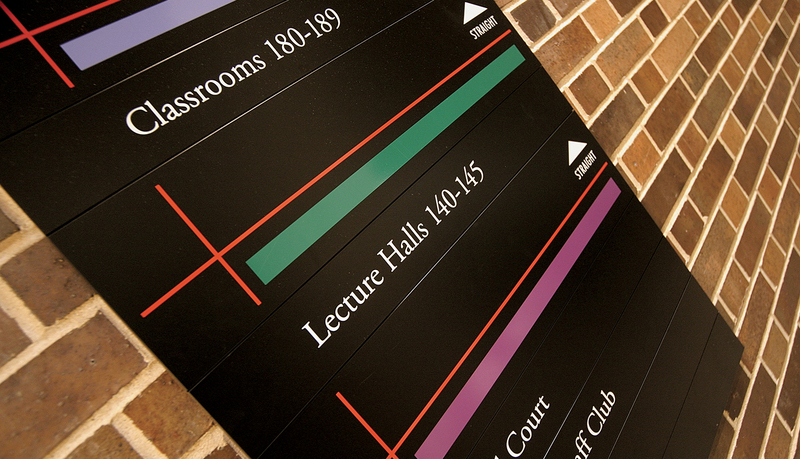 Although wayfinding plans had been tried previously, none of them successfully navigated students and staff through the hexagonal building. 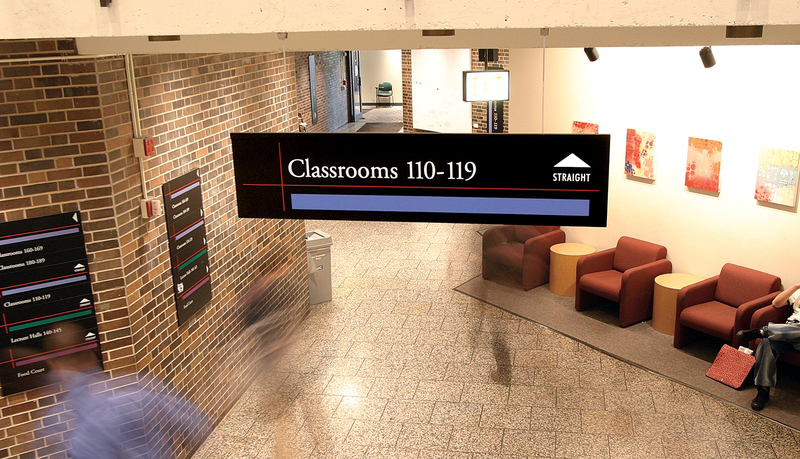 ASI consulted with Warman Olsen Warman – UIC’s design and architectural firm – to fabricate and install a color-coded signage solution to help solve the wayfinding challenge. 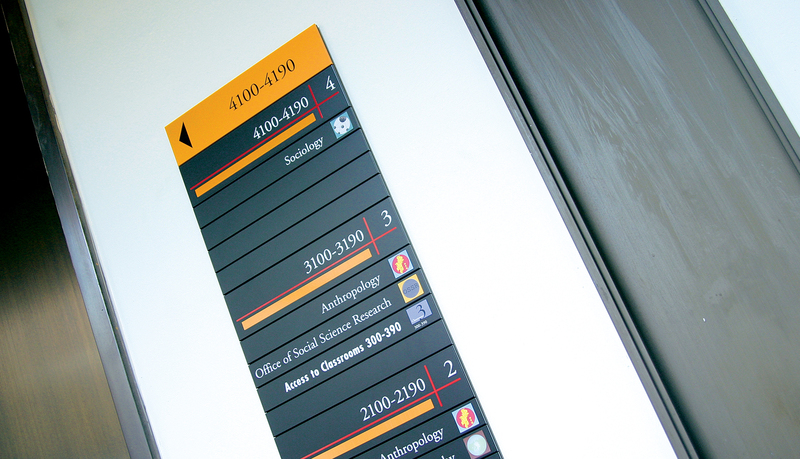 Through the use of icons and a color-coding system, visitors are able to identify and separate the seven departments ASI’s Infinity series was chosen for the signage solution because it was easy to update faculty names in the directories that are located in every department. 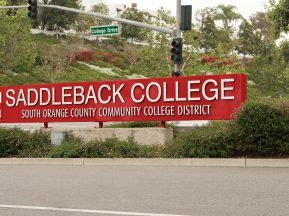 Each Infinity sign features a black background to help visitors focus on the icons and colors as they navigate the facility.